This time of year could find you playing host to a number of unwanted furry nightmares, as rodents both large and small seek shelter from the colder weather in, around and under your home. 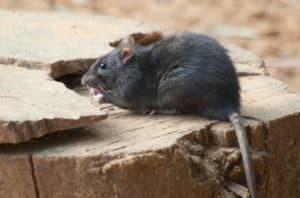 If you find yourself plagued by mice, rats, possums, raccoons or squirrels, you can try to get rid of the problem yourself, or it may be time to call a professional rodent removal service in Frisco, TX. Here a few things to look for that should tip you off that it is time to call the pros. Scarier than a stream of rats pouring out of a hole in the wall is rats or other rodents gnawing through your electrical wires and starting a fire. This is a genuine cause for concern and an important reason to never ignore any scurrying or scratching sounds you may hear in the walls at night. You may be tempted to just set out traps or poison to take care of the problem yourself, but it’s not worth the risk of small children coming across one of the traps and hurting themselves or a rat dying inside of your walls and smelling up the house for weeks. Your best bet is to call a rodent removal service to take care of the issue professionally. If you have a pier and beam house, it’s easy for rodents of all kinds and sizes to set up shop in between. If you have a concrete slab foundation, you may think you’re in the clear, but in Texas especially, you need to consider burrowing rodents like rabbits or groundhogs. Groundhog and rabbit warrens can be extremely extensive and large, and to top it off, they like to burrow under buildings, as these provide stability overhead for their tunnels. That vast network of tunneling is what can compromise the stability of your foundation, especially if the burrows fill up with water or even collapse. Hiring a rodent removal service is the best way to remedy this issue. Squirrels, rats, raccoons and other climbing rodents can easily cause expensive damage to your roof and attic areas as they create their nests, raise their young and store food. You may see raccoons or rats accessing your roof at night, via connected phone or power lines. If you have any areas around the eaves that look vulnerable or like they may be disturbed, you’ll want to have a pro come check the situation out. Call Safe Pro Pest Control at (972) 435-0700 to discuss rodent removal service in Frisco, TX today!